of cracking or any other indications of fatigue damage. Standard Specification and Test Methods for Metallic Bone Staples. K-wire (1.6mm diameter X 50mm long). 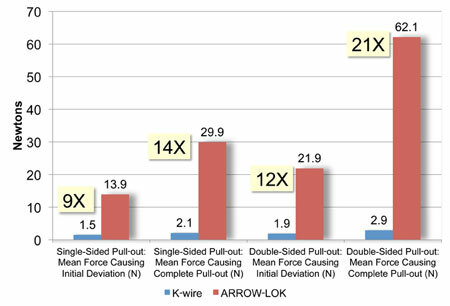 that the ARROW-LOK implant is highly resistance to migration. of the devices tested required a mean of 62.1N and 2.9N respectively. 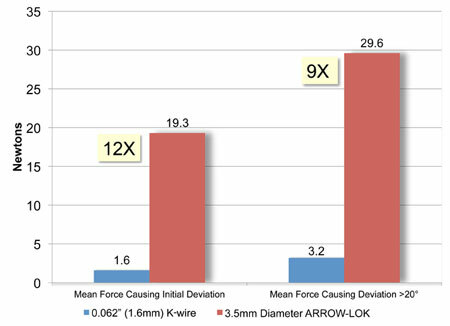 diameter ARROW-LOK implant or a 0.062” (1.6mm) K-wire. rotational forces than the K-wire.